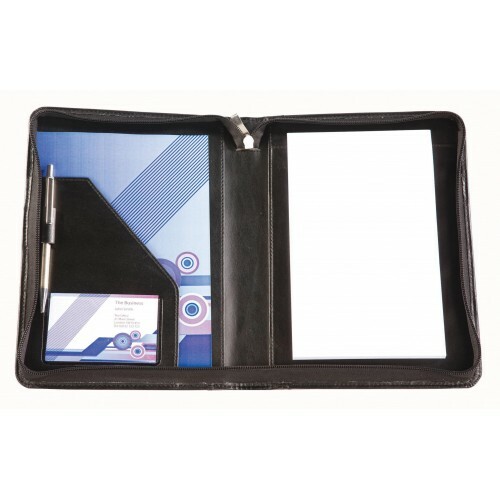 Balmoral Leather A5 Zipped Conference Folder with a lightly padded and stitched cover. Finished in a Balmoral bonded leather formed from recycled leather waste bonded to form a soft material with an excellent emboss quality and a smooth grain. Supplied boxed.